This month has ended so let us how the charts look like. Holding 8500 this year will be bullish. When Wall Street’s most aggressive bank took on the world’s most incendiary client, someone was going to make a killing. On July 23, 2008, Kabbaj was in his room at the Corinthia, waiting anxiously for his mobile phone to ring. It finally did around 9 a.m., and he grabbed a pen and paper to take notes. On the line was Michael Daffey, a senior Goldman executive in London. Daffey praised Kabbaj’s work in Libya and said that after some negotiation, the bank was willing to guarantee him $9 million in pay. It was an astonishing sum, even at Goldman. Kabbaj immediately asked for more. He knew he’d been instrumental in extracting an unusual amount of money from a highly unusual client. Who else on the planet could sell a billion dollars of derivatives to a regime whose theatrical despot slept in a tent under an all-female warrior guard? 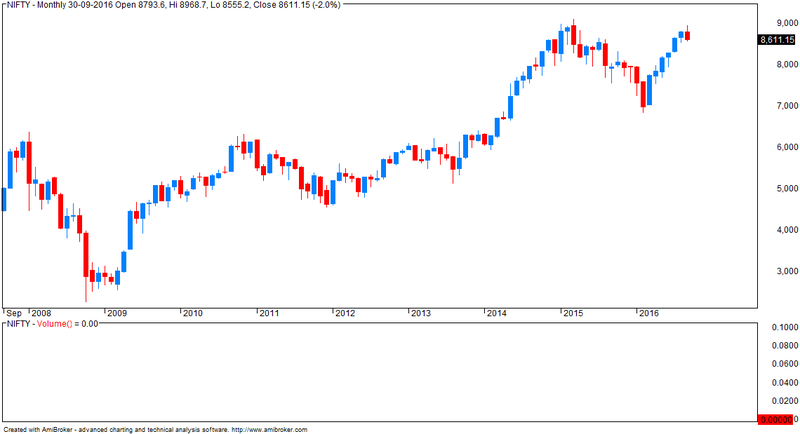 - option writers do not expect 9000 to be crossed next series. - below 8500, I would consider trend reversal. With several months of in-depth research on Tesla Cars, we have discovered multiple security vulnerabilities and successfully implemented remote, aka none physical contact, control on Tesla Model S in both Parking and Driving Mode. It is worth to note that we used an unmodified car with latest firmware to demonstrate the attack. Why is an economy apparently on the upswing not being able to generate enough new jobs? Welcome to jobless growth. 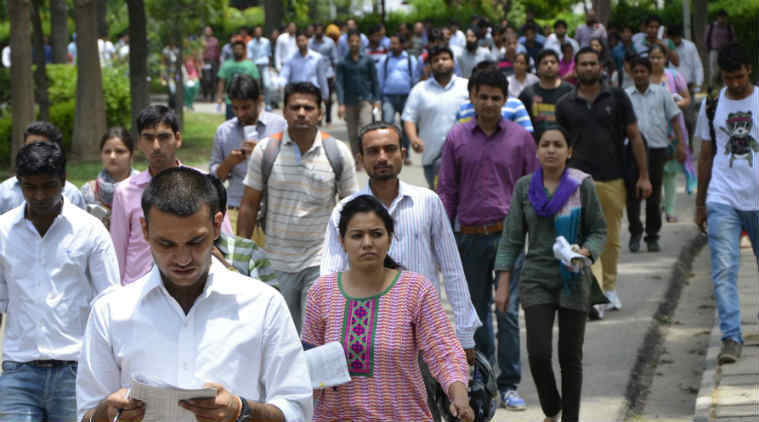 Every month, a million Indians become age-eligible to join the workforce, but the growth in jobs has not kept pace with the rising number of aspirants. The result: unemployment has been on the rise, despite India supposedly being one of the brighter spots in a slowing global economy. The situation has only worsened since, thanks to weak industrial growth, a struggling agriculture sector with widespread drought, cost rationalisations in several sectors and the knock-on effect of a global slowdown. Also, traditionally labour-intensive industries are beginning to increasingly mechanise their operations. While it makes them more productive and profitable, it also shrinks job opportunities. Many wonder why an economy supposedly growing at a rate of over 7 per cent is not creating enough jobs. Economists say this is because more work is now being done with fewer employees. "The economy is generating less jobs per unit of GDP," says D.K. Joshi, chief economist at ratings and research firm Crisil. Illustratively, in manufacturing, if 11 people were needed to execute a piece of work that generated Rs 1 million worth of industrial GDP a decade ago, today only six are needed. Joshi's verdict: "The economy has become less labour-absorbent." We are in a big, fat, ugly bubble. And we better be awfully careful. And we have a Fed that’s doing political things. This Janet Yellen of the Fed. The Fed is doing political — by keeping the interest rates at this level. And believe me: The day Obama goes off, and he leaves, and goes out to the golf course for the rest of his life to play golf, when they raise interest rates, you’re going to see some very bad things happen, because the Fed is not doing their job. What if an alien looked like this? How will you say hello or shake hands? Relax... this is not an alien but a species from our own planet. The individual above is called Tardigrade and is 0.5mm in length. But it is notable for some other reasons. Tardigrades are some of the most resilient animals: they can survive extreme conditions that would be rapidly fatal to nearly all other known life forms. They can withstand temperature ranges from −272 °C to 150 °C, pressures about six times greater than those found in the deepest ocean trenches, ionizing radiation at doses hundreds of times higher than the lethal dose for a human, and the vacuum of outer space. They can go without food or water for more than 30 years, drying out to the point where they are 3% or less water, only to rehydrate, forage, and reproduce. Read more about tardigrades here. Something I (an atheist) like reading every now and then... This is a translation. The original song is called Nasadiya Sukta (Hymn of Creation)... you can read the wiki post here. As we argued, “c” can continue to develop as long as it holds above the 0-b line. 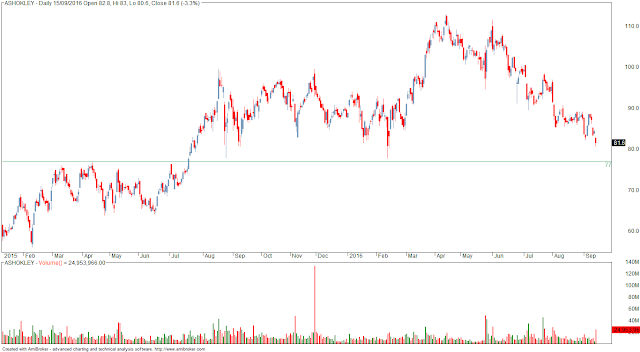 Break below it, followed by full retracement of c leg of a-b-c, i.e. 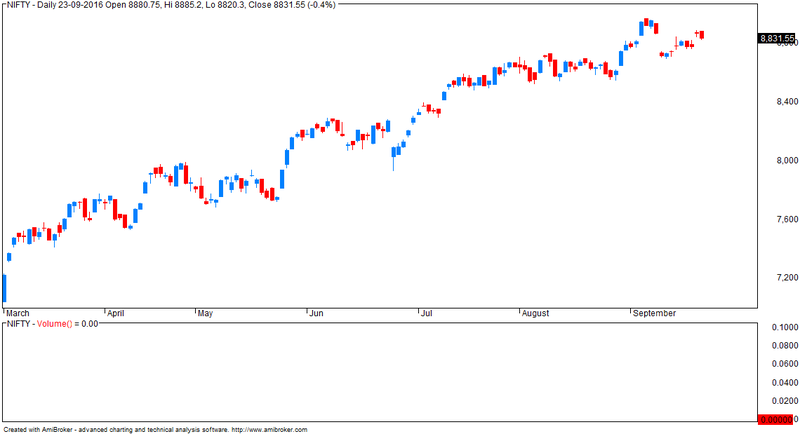 drop below 28462 (Nifty 8757), would mean the upward “c” leg is over, and a downward “d” leg has opened. If “d” confirms, then it would be a downward leg which should be a “smaller” fall compared to “b”, i.e. 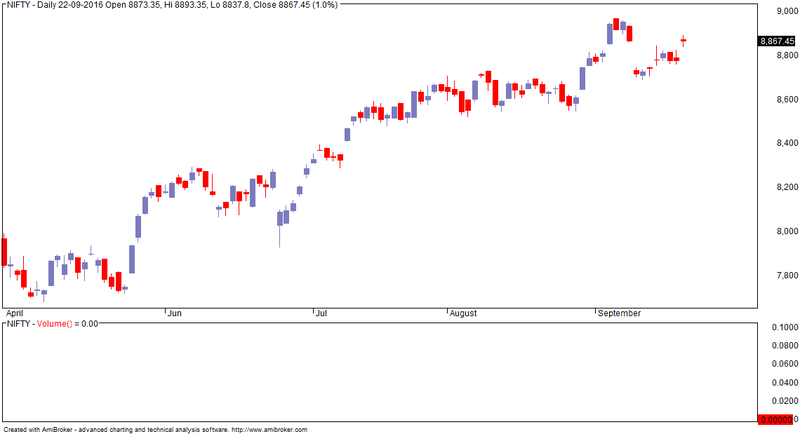 it should not break the bottom of “b” at 28251 (Nifty 8688), to justify “Contracting” Triangle in the 3rd Corrective. Remember, 3rd Corrective is always the last Corrective of any Complex Corrective development involving x-waves. We marked the larger move as “D” leg from Feb’16. We are into 3rd leg or “c” leg of the last Corrective. Therefore, 2 or 4 more legs, depending on whether a Diametric or Triangle will ultimately develop inside the 3rd, are still pending. In a “contracting” environment, moves could be “tricky”. We have already shown since a month ago, that the Nifty PE ratio is into a “Bubble Territory”. Under the circumstances, it would be better to be choosy, and avoid large commitments, and try to play what it available for the short term. In its longest-ever flight, the PSLV C-35, carrying India’s SCATSAT-1 meant for ocean and weather studies and seven other satellites including from the United States and Canada, on Monday lifted off from the spaceport in Sriharikota. The launch marked PSLV’s longest mission spread over two hours and it is the first time that the rocket is putting its payloads in two different orbits. The 44.4 metre tall PSLV rocket blasted off at 9.12 am and 17 minutes later injected SCATSAT-1 in orbit. 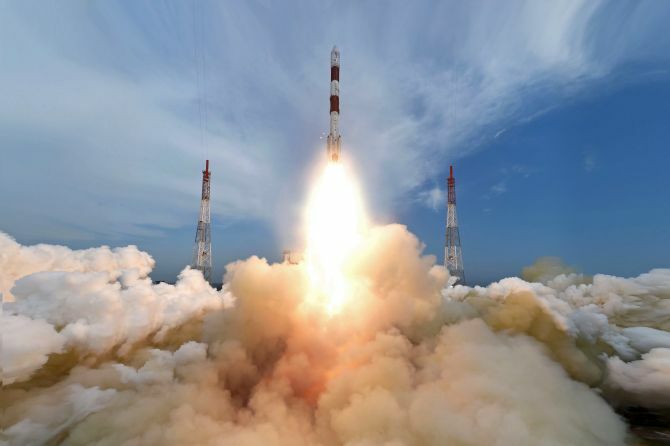 “SCATSAT-1 has been successfully injected in orbit,” Indian Space Research Organisation said. The 371 kg SCATSAT, the primary satellite meant for weather forecasting, cyclone detection and tracking, was first injected in a Polar Sunsynchronous Orbit orbit while the seven others will be injected in a lower orbit after over two hours, the first time the rocket is putting its payloads in two different orbits. The total weight of all the eight satellites onboard is about 675 kg. This is a simple strategy for day traders and is an adaptation of my monthly hi/lo swing strategy. 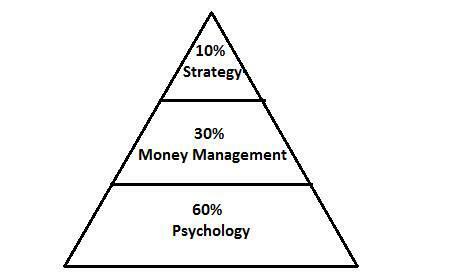 It uses no indicators - all trading is a game of probabilities; more analysis does not lead to better results. 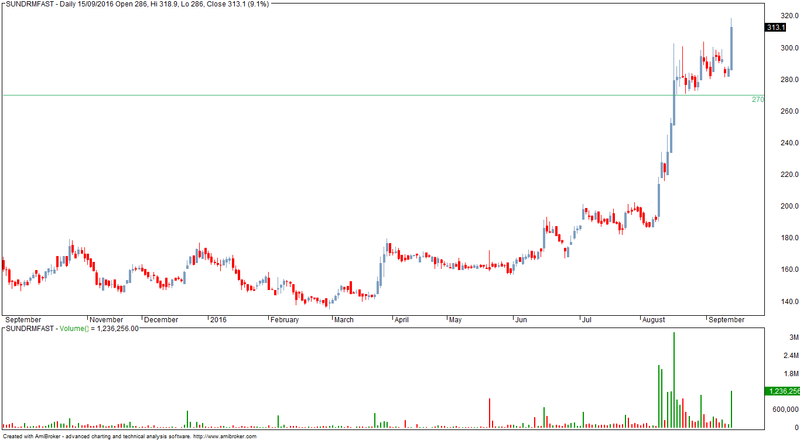 Strategy: trade long on breakout above first hour's high with previous hour low as trailing SL. Risk mgmt: Position sizing takes care of the risk and I recommend a risk per trade of 0.5%. If you cannot control the risk in a trade, stay away from trading/ take up some other occupation. - these are your buy above / sell below levels. 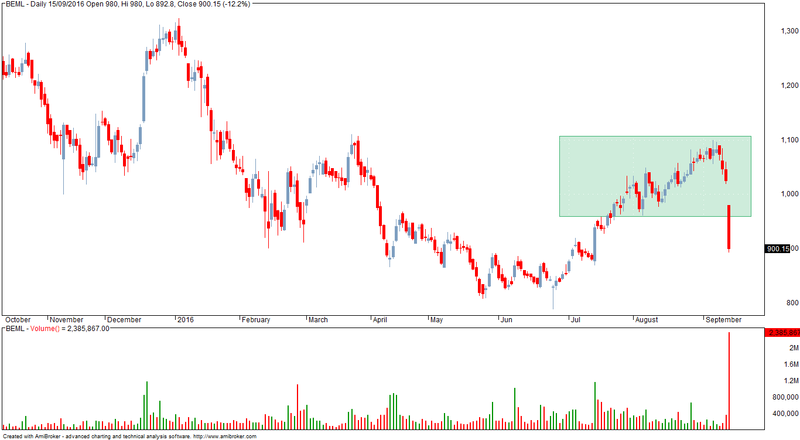 - for a long trade, breakout bar close should be near the candlestick high. 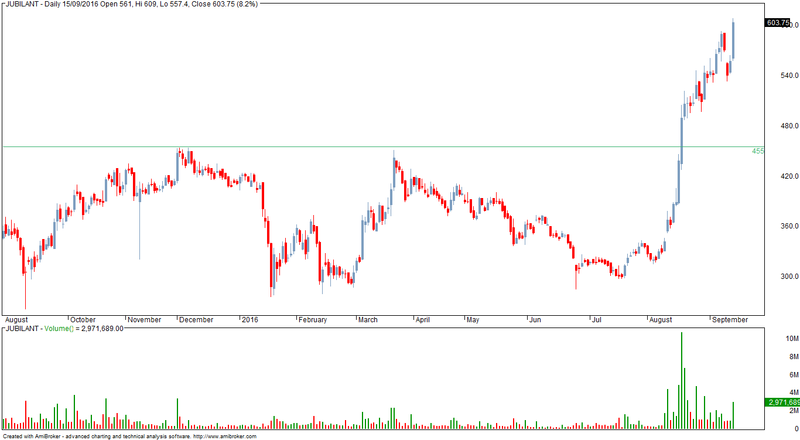 - if long, SL is your previous hour's low and vice versa. - trades to be closed by 3.30 or when your trailing stoploss is hit. 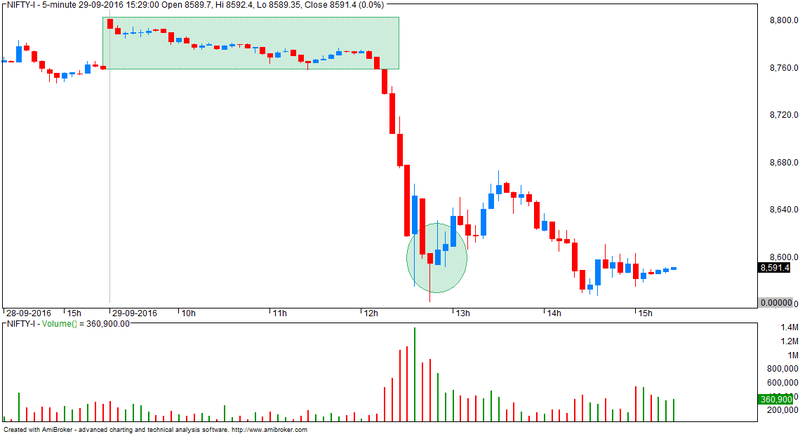 - sometimes, markets tend to trade within the first hour hi / lo range. In this case, take the first hour hi/ lo levels as breakout levels for the day. - when a breakout happens, wait for completion of candlestick. - above is important as a bar in progress can eventually form an hammer/ inverted hammer in which case trade should be ignored. - this strategy can be used for cash and futures chart... just ensure liquidity is excellent. - expect half the trades to fail (statistically). Boston Dynamics builds advanced robots with remarkable behavior: mobility, agility, dexterity and speed. We use sensor-based controls and computation to unlock the capabilities of complex mechanisms. Our world-class development teams take projects from initial concept to proof-of-principle prototyping to build-test-build engineering, to field testing and low-rate production. Organizations worldwide, from DARPA, the US Army, Navy and Marine Corps to Sony Corporation turn to Boston Dynamics for advice and for help creating the most advanced robots on Earth. Boston Dynamics is a wholly owned subsidiary of Google, Inc.
Human error is the cause of 94 percent of roadway fatalities, U.S. safety regulators say, and robot drivers never get drunk, sleepy or distracted. Autonomous cars already have “superhuman intelligence” that allows them to see around corners and avoid crashes, said Danny Shapiro, senior director of automotive at Nvidia Corp., a maker of high-speed processors for self-driving cars. 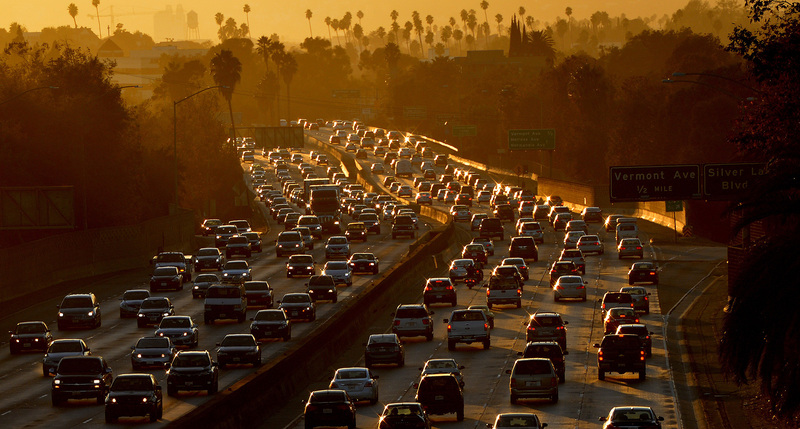 Within five years, human driving could be outlawed in congested city centers like London, on college campuses and at airports. “Problems with drivers not paying attention or getting sleepy or getting drunk are really ripe for autonomous to do a better job than humans,” said Ron Medford, director of safety at Google’s self-driving car program and former deputy administrator of the NHTSA. With mobile devices an added distraction, U.S. highway fatalities rose 8 percent last year, the biggest increase in 50 years. 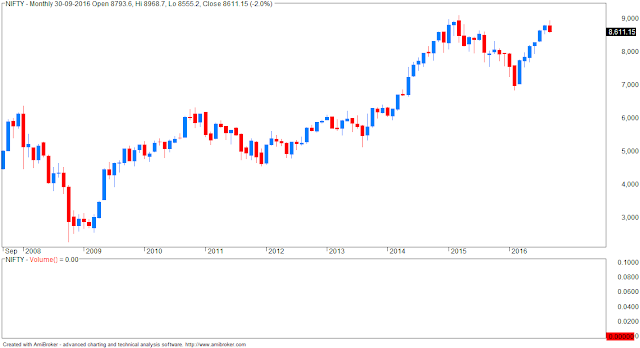 Smallcap Indices in All Time Highs and Outperforming Nifty!! Time to be Cautious and Selective !! 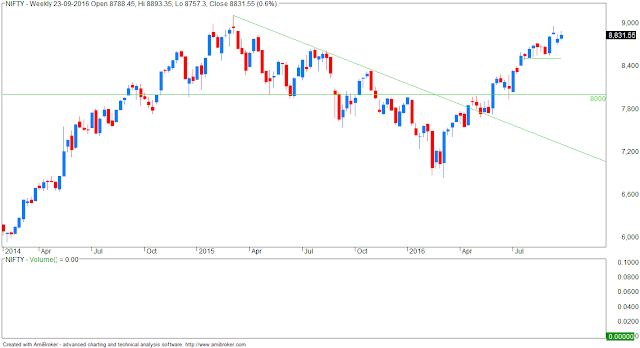 Nifty has done a strong move since the bottom in February 2016 at 6850-7000 where a lot of people on the street were sure about 6400. We did expect a sharp bounce like it did in 2012. Some old posts mentioning it. Although i expected a lot of resistance to come in at 8000-8300 but we have taken that out with ease and even digested events like Brexit. 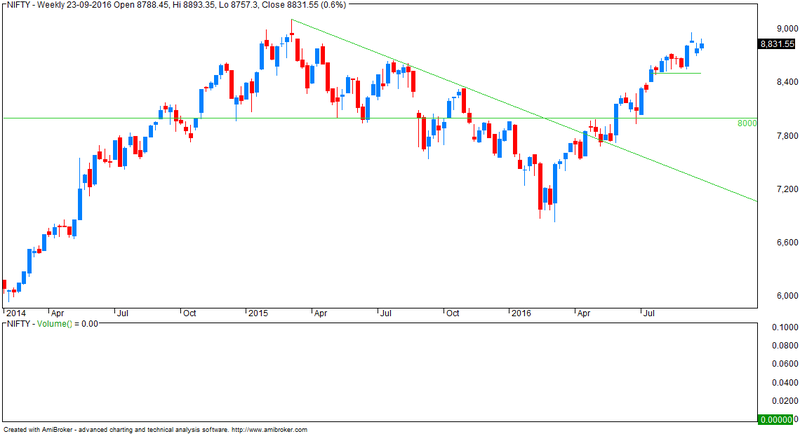 Technically there is no reason to doubt the trend till 8540 is taken out. But the previous top at 9000-9100 should be a stiff resistance. Also a correction after such a rally is fine and it could also be timewise where markets remain sideways in a range for quite a few months. 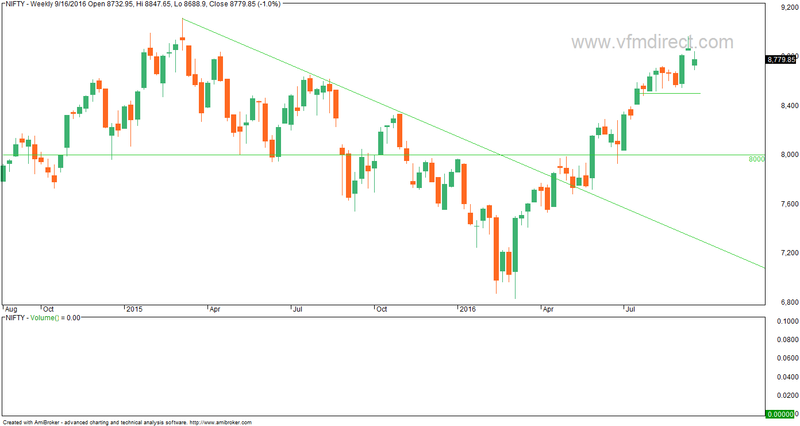 Conclusion - Nifty is in a strong trend but a timewise correction is possible in coming months. Price wise can be confirmed post a dip below 8540. 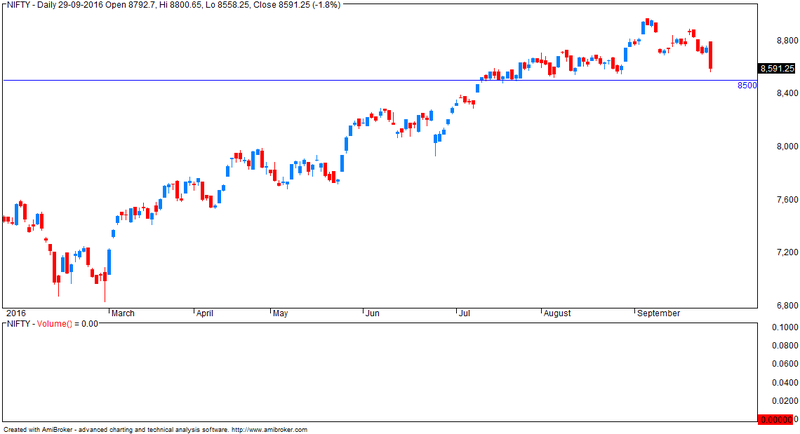 Now comes the part which is a bit uncomforting is the solid rally by smallcaps/midcaps and micro caps. Also being focused on smallcaps/midcaps it has been a good enough time. 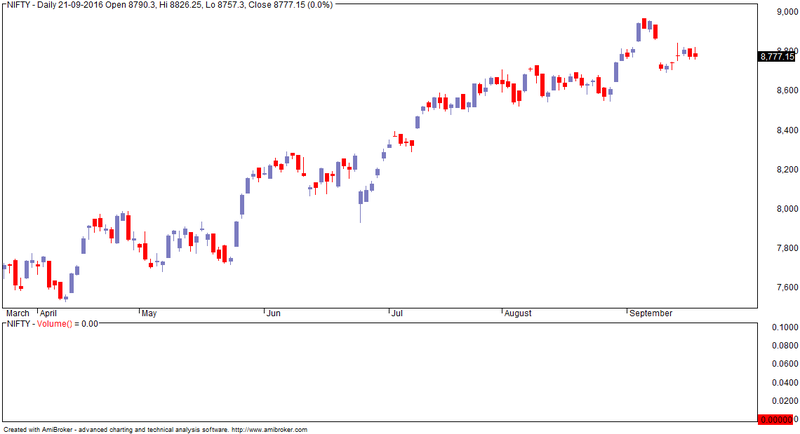 But the moves have now shifted to stocks which are highly illiquid and seeing sudden bursts of 20-50% moves. One of the reasons there has been not much update is I have been busy trading/recommending the microcaps/smallcaps as well as any mention of an illiquid name can make the stocks go dizzy in such conditions. Hopefully the action shifts to liquid large caps or midcaps and i ll get to update more. 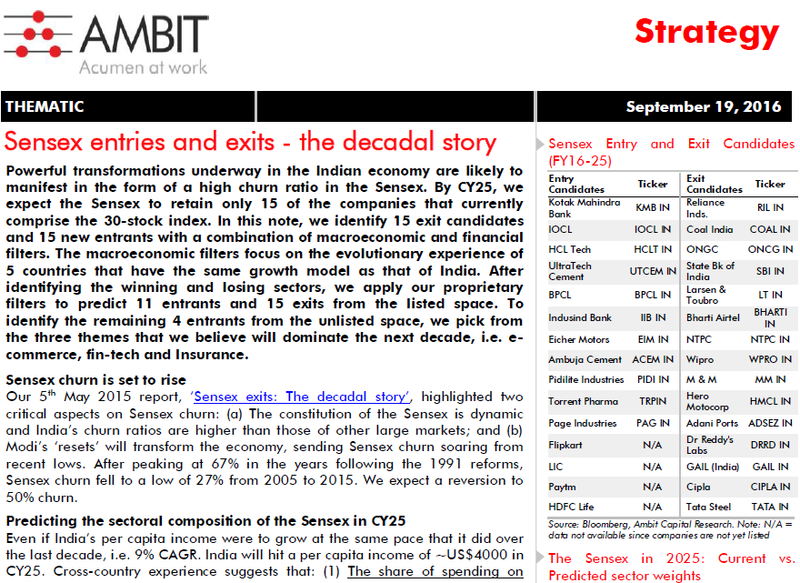 Focusing on Pharma/Fmcg sector. 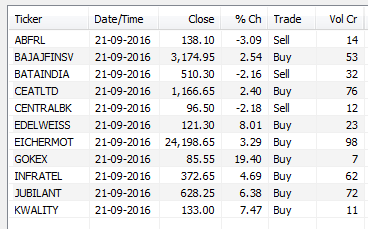 Whenever I find myself trading a lot of microcaps i do get a bit uneasy making that quick money. The last time I got this uneasy did not end well for the markets in next 2 months. Was just a lucky timing as I did not act enough myself but luckily discipline helped. Sep 12, 2012 - In 2008, when textile engineering student Lakshmi Priya did not get a ... per the 2012 National Employability Report, are unfit for employment. Jul 27, 2014 - According to my competency builder , an employee assessment service ... about 85 % of engineering graduates are unfit for employment. Exited a lot of positions last week... now this is what we are left with. - today, markets closed in positive, AD was flat. Generally speaking, whenever there is a huge gap-down action, we cannot rule out some attempt to cover the gap-down area. Such attempt is normally expected within 3-4 days of the gap-down, and same was seen in the latter part of the week. 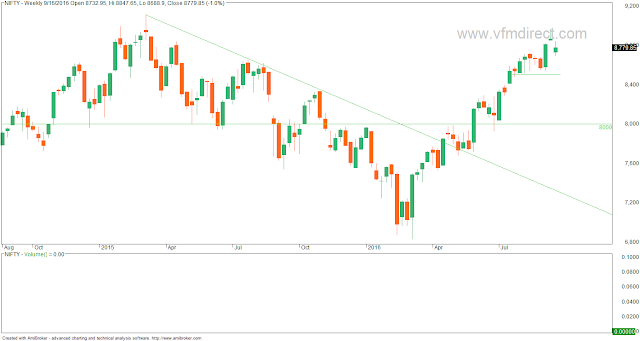 Last week we feared if gap-down area remains uncovered by the end of the week, then it could form into an “Island Reversal” pattern on the weekly chart, which has -ve implications. While on Sensex the gap-down area was fully covered, both Nifty & Nifty Future could not fully cover their respective gap-down area. 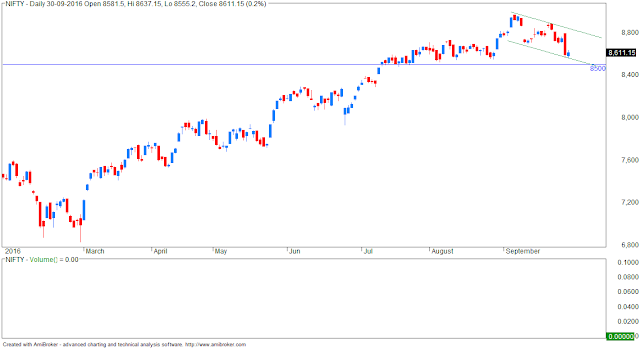 So, on Nifty/NF the Weekly Gap-down and Island remained intact. Remember, we are still keeping both options, Diametric as well as Triangle as a pattern inside the 3rd Corrective. Triangle is generally tricky pattern to trade, as the legs begin to “contract” from “a” leg to “e”. For rejecting the Triangle pattern, in favor of Diametric, Index should not only close confidently above last Monday’s gap-down area, but also move to a new high for the post Feb’16 “D” leg. 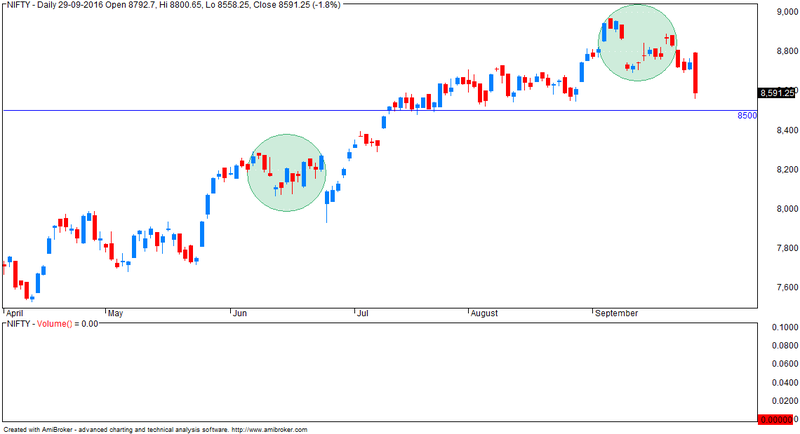 Under the circumstances, as we keep both options open, roughly watch the high-low of last week, at 28251-28779 (Nifty 8688-8848) as crucial levels for the fresh week. Should the Government Devalue Rupee? The commerce ministry is concerned over the continuous slowdown in exports. Contracting for the second month in a row, India's merchandise exports fell 0.3% to USD 23.5 billion in August on persistent weak demand in developed markets and subdued prices. In a draft Cabinet note circulated earlier to seek views of different ministries, it has suggested that a mechanism be formulated to ensure the rupee-dollar exchange rate reflect the realistic value of the domestic currency. The ministry has argued that adjustments in exchange rate policy are needed as it is important to increase the competitiveness of the products. Currently, Indian currency's real effective exchange rate (REER) is viewed as overvalued compared to several countries like Mexico, South Africa, Argentina and Brazil. The REER is the weighted average of a country's currency relative to an index or basket of other major currencies, adjusted for the effects of inflation. The weights are determined by comparing the relative trade balance of a country's currency against each country within the index. By this yardstick, the Indian rupee is overvalued. 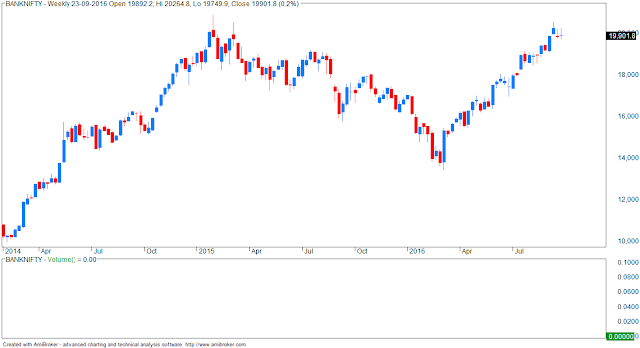 Nifty opened huge gap up on Friday at 8780 and bounced sharply by 100 points to register day’s high 8847 but failed to sustain at higher levels and declined back by 100 points before closing 37 points up at 8779. 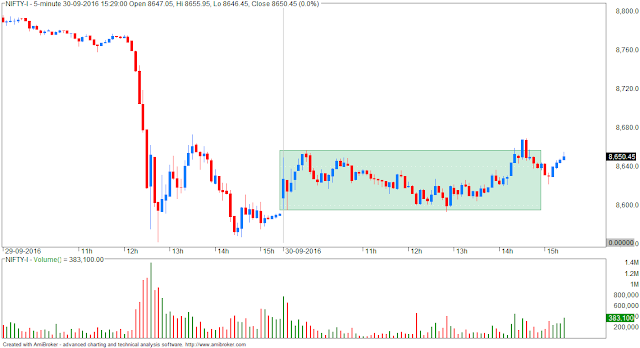 Friday, trading strategy was to buy 8900 if get in 8760-8778 range with 30 points stoploss expecting targets below 8688 but further advised to avoid this trade if Nifty opens above 8778. 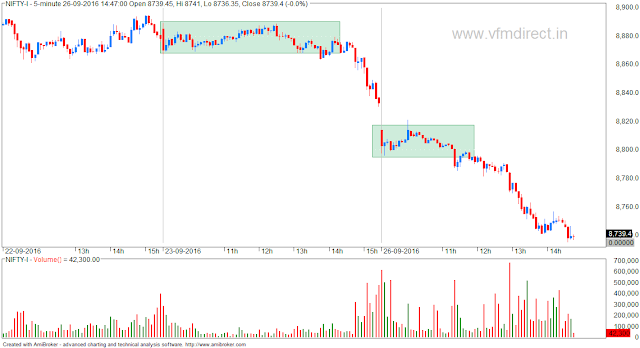 Nifty opened above 8778 and trade for the day was negated. Let’s have a fresh look at latest charts for further scenario. 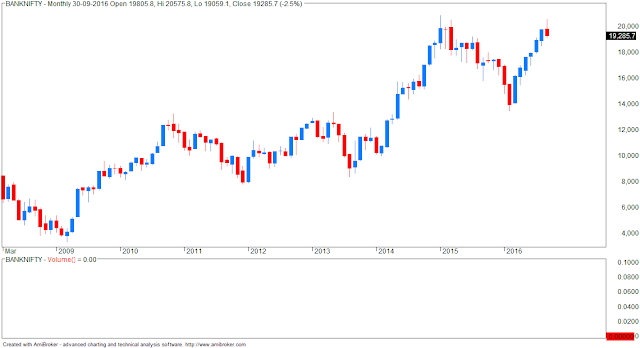 Today I am covering move from 29 Feb 2016 low 6825 and previous waves counts are explained in my all time frames report Elliott Wave Counts of Nifty for All Time Frames as on 18 July 2016. The X-47B is a tailless jet-powered blended-wing-body aircraft capable of semi-autonomous operation and aerial refuelling. The X-47B first flew in 2011, and as of 2015, its two active demonstrators have undergone extensive flight and operational integration testing, having successfully performed a series of land- and carrier-based demonstrations. The X-47B was designed by Northrop Grumman for the US Navy. - the plan can decide which airport to land if a particular strip is not available. - the plane can understand human hand gestures (important in aircraft carriers). How many "monkey bar" pull ups can you do? Most people can barely do one. Remember, this is one of the most natural ways of building your arm muscles. On a different note, monkeys and chimpanzees do this hundred times a day effortlessly. 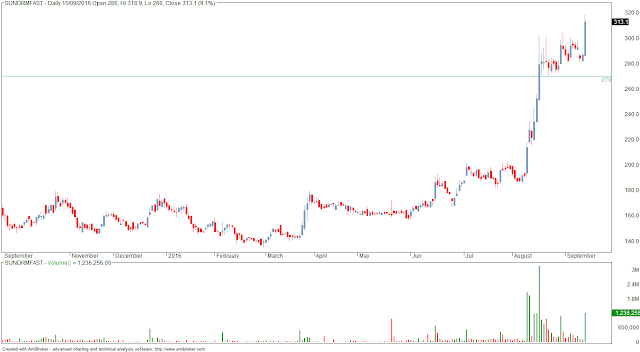 AMBUJACEM - trading in a range and near lifetime highs. Hi/ Lo of range is critical. I will be studying and posting my analysis on 4 futures stocks 2-3 times a week. This is for your study and you can do similar study for whatever stocks you trade in. 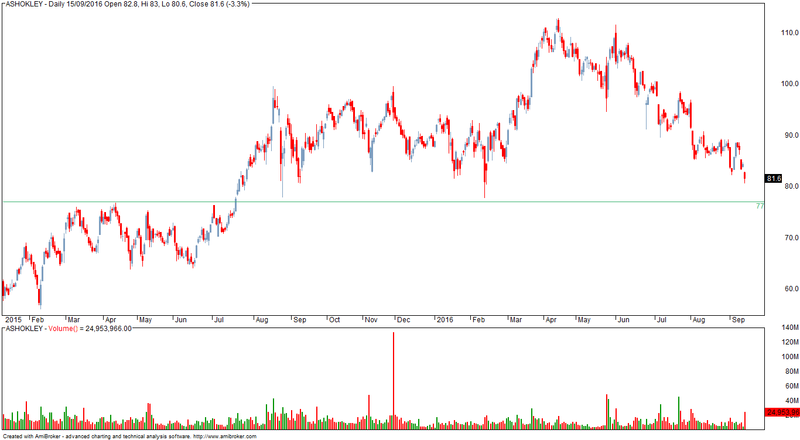 RELCAPITAL - trend is down and will revert to buy on close above 580. What is Liquidity hunt? and stop hunting? ....... say you are from ABC institutional desk and you have goals to acquire 10,000,000 shares of Nifty Futures by today at a better net execution price. 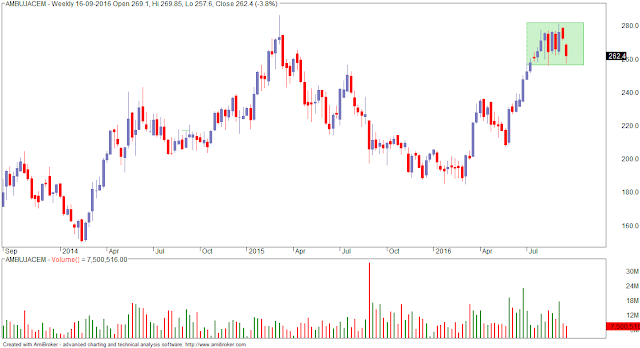 However market is bullish and there is no enough demand from the sellers as the market sentiment is highly bullish and buyers are dominating and it is practically impossible to get instant liquidity from the sellers. One way is to acquire slowly and steadily from the market but the problem is you may not get a better effective net price. Alternatively one has to identify where could be the possible maximum sellers liquidity so that big players can drive the market towards the zone (also called as stop hunting) to and get the liquidity. 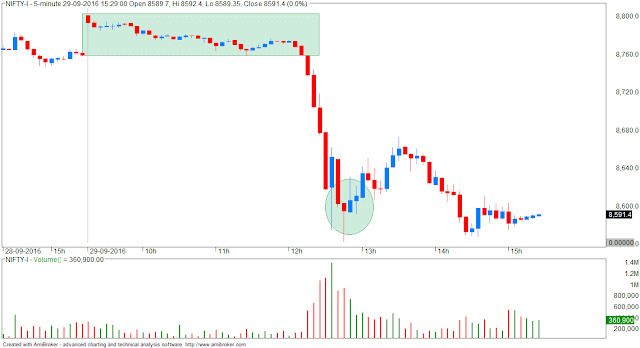 How by driving the Market Lower you get sellers liquidity? There are various ways to manipulate liquidity. 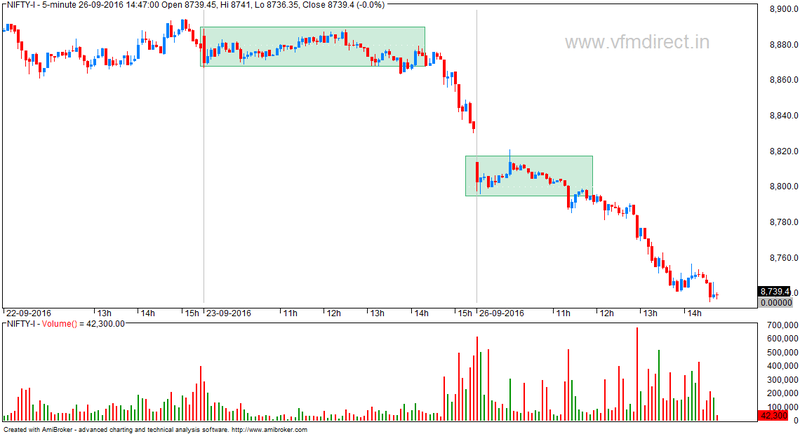 One of the easiest way is most of the intraday players/positional players have a habit of placing their stop loss at days low, days high, prev day high/low, weekly high/low zones. 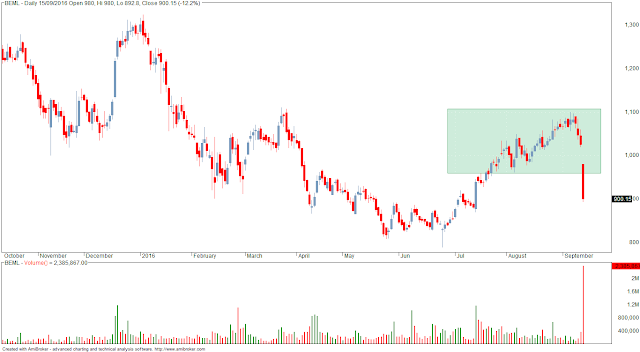 Possibly the buyers who entered in the market at the market open and the one who entered late seeing the breakout rally would believed that Current Day’s low or Prev Days High or 3 Day high as a potential support zone. When Opsec got to the campus, the details filled in. The system administrator—a friend of his—had been going through event logs of the previous week. Event logs are lines on a screen showing summaries of each new task given to a computer network, with a time stamp and a green or red dot indicating success or failure. Seeing a red dot, the administrator had zoomed in for more information. The failed task turned out to be an attempt from within the Company to deploy a piece of software companywide. Deployment of software throughout the entire network did sometimes occur—for instance, to install updates—but it was rare, and sufficiently important that the sender did not often make a mistake. In this case, the sender had omitted a single letter in the domain name to which the job was addressed—hence the failure. The associated software package was unlike anything the system administrator had seen before. He alerted the operations manager. Here was the situation Opsec faced. The package no longer mattered, but the hack most certainly did. Someone had emerged from the Internet, slithered into the Company’s heart, and then disappeared. The specific vulnerability the attacker had exploited was still unknown, and was likely to be used again: he had established a back door, a way in. Some back doors are permanent, but most are short-lived. Possibly this one was already for sale on the black markets that exist for such information in obscure recesses of the Internet. Until Opsec could find and lock it, the back door constituted a serious threat. Opsec reviewed the basics with the Company’s managers. He said, Look, we’re in the Internet business. We know we’re going to get hacked. We have to assume, always, that our network is already owned. It is important to go slowly and stay calm. We will soon know how and when to lock the door. We will have to decide later if we should do more. To me he said, “Also, relax. In the long run, the chance of survival always drops to zero anyway.” He did not say this to his client. It was not an insight the Company would have valued at the time. Even in the short run, as it turned out, the news would be alarming enough. They knew exactly where they were going. First, using “bounce points” within the network to further obscure their presence, they went after the central domain controller, where they acquired their own administrative account, effectively compromising 100 million user names and passwords and gaining the ability to push software packages throughout the network. Second, and more important, the Chinese headed into the network’s “build” system, a part of the network where software changes are compiled and then uploaded to a content-distribution network for the downloading of updates to customers. In that position they acquired the ability to bundle their own software packages and insert them into the regular flow, potentially reaching 70 million personal computers or more. But, for the moment, they did none of that. Instead they installed three empty callback Trojans on three separate network computers and left them standing there to await future instructions. Opsec and his team concluded that the purpose was to lay the groundwork for the rapid construction of a giant botnet. 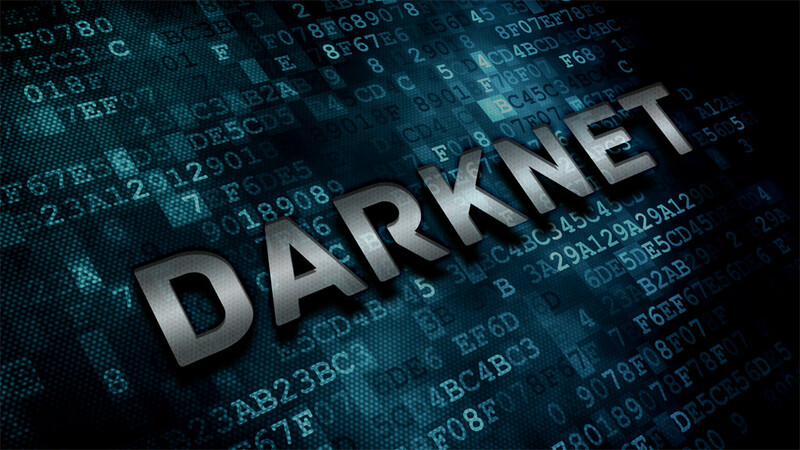 The botnet it could have created would have been huge. If the Chinese had breached other large Internet companies via the same payment-center route—and it seemed likely they had—the combined effect would have been the creation of by far the largest botnet ever seen, an Internet robot consisting of perhaps 200 million computers, all controlled by one small Chinese hacking team. Opsec had stumbled onto a very big thing. And its lack of use was the key. The only possible purpose, Opsec concluded, was that of a sleeper cell, lying in wait as a pre-positioned asset to be used as a last resort, like a nuclear weapon, in the event of an all-out cyber-war. The world certainly seems to be moving in that direction. India is setting a new global standard in fintech. A new instant online payments system, tied to national biometric identity data, launched in recent weeks. Together with an explosion in smartphone usage, this could help the world’s fastest-growing large economy skip traditional financial infrastructure like cash machines, debit cards and point-of-sales machines – speeding up a move to a cashless economy. The so-called “Unified Payment Interface” is unlike anything available in China or the United States. It enables secure, real-time transfers from one person to another, or to a company. UPI enables individuals and businesses to manage money held across multiple accounts at various banks through a single mobile application – and not one that necessarily belongs to the customer’s own bank. Already 29 big lenders have signed up. UPI has the power to turn every smartphone into a bank. It enables a user to pay for vegetables at a market stall and settle dues for goods bought online. It can also facilitate domestic remittances, allowing users to both send and receive money from friends and family within the country. The platform caps single transactions at 100,000 rupees – around $1,500 – but the limit on the number of transactions a user can make is up to the bank. What’s most striking about the effort, though, is that it is probably the first time that Uber will actually own physical assets. Before beginning to deploy its self-driving cars, Uber neither employed drivers nor owned any cars, operating in a completely virtual manner. That doesn’t necessarily mean Uber’s operating costs were low — they spend money on everything from research and development to discounting worldwide to hiring lobbyists — but it did mean that Uber figured out a way to avoid adding drivers’ employee benefits and car ownership, maintenance and insurance to those costs. That’s clearly all about to change. Dow 100,000? Marc Faber Warns: Central Banks "Will Monetize Everything... Introduce Socialism"
Epoch Times: How long can the central banks manipulate markets? Mr. Marc Faber: This is an issue that will be decided by central bankers and I don’t have control over the manipulation of central banks. Haruhiko Kuroda of the Bank of Japan (BoJ) expressed the view that there is no limit to monetary inflation. That they can keep on buying assets and they can keep on buying equities and real estate. So the madness in the present time may go on. In a manipulated market, it won’t end well, but you don’t know when it will not end well, and how far the manipulation can last. Epoch Times: And then at one point, the central banks own everything. Mr. Faber: They could essentially monetize everything, and then you have state ownership. And through the central banking system, you introduce socialism and communism, which is state ownership of production and consumption. You would have that, yes, that they can do. The BoJ owns more than 50 percent of Japanese ETFs (exchange traded funds), which own large parts of the underlying companies. So indirectly they may own 20 percent of the Japanese companies, and they can go up to a higher level. I don’t think the central bankers are intelligent and smart enough to understand the consequences of their monetary policies at present. They focus on inflation but in my view they shouldn’t do anything. They don’t focus enough on what it does to the average standard of living of the people, to the average household income. 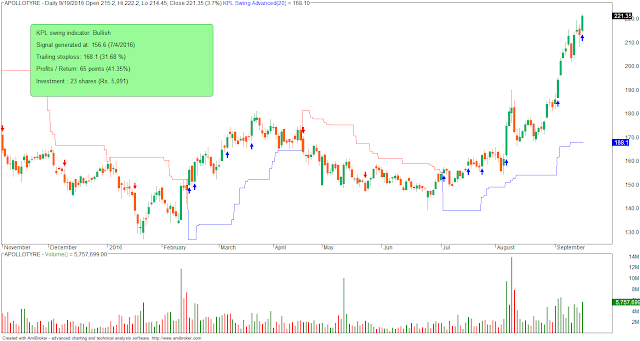 Above signals are for your study only and are unsuitable for trading.